I can’t even tell you how good it feels to be writing this post! So, a quick catch-up for everyone: We are in our new house and we are (mostly) unpacked! It took forever with two small kids, but what are you going to do? It is what it is. 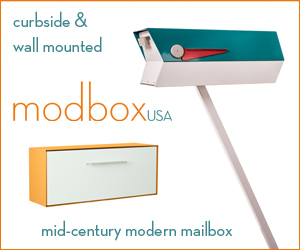 It also is taking me a long time to acclimate to not having built-in storage around every corner, like our previous mid-century home. In a new home, you have to put all the storage in yourself! And that takes a little planning. But, I’ve got my dishes unpacked, and the shelves built to hold my linens and backdrops, and the shelves to hold all my cookbooks are here. They are just…still in boxes. But they are here, so I hope to assemble some of those over Christmas, since we are going to be staying home for the holidays. 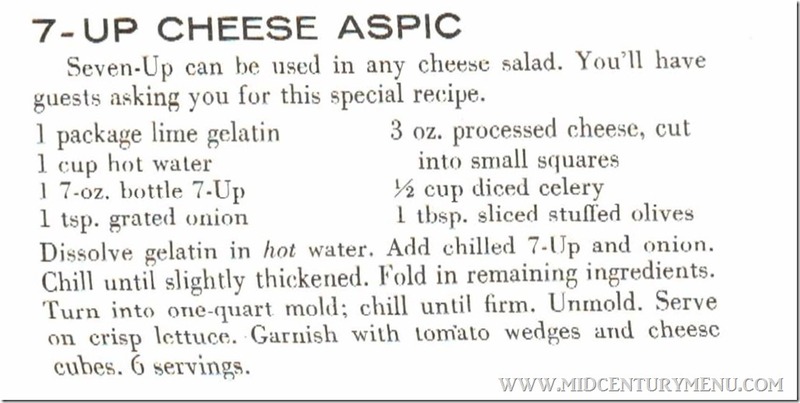 Speaking of holidays, if you all are looking for a holiday gelatin, can I suggest 7-Up Cheese Aspic? No? No takers? Well, this lovely recipe is from the You’re Really Cooking When Your Cooking With 7-Up pamphlet from 1957 (affiliate link). If you ever come across these pamphlets, snap them up. These things are gold. White, fizzy gold. Carolyn: So, how are you doing? Me: I hate moving. I hope these boxes burn with the fire of a thousand suns. Carolyn: Good. So, I’m considering having a holiday party. Carolyn: Yes. But I’m not going through the trouble of having a party if you aren’t going to come. So pick a weekend you are free. Me: I’m actually excited. I’m totally going to come. Carolyn: Good. Also, send me some crazy recipes so I can make something for the party. Everyone always loves that stuff. Me: Oh, I’ll send you recipes. You’ll get more recipes than you bargained for. 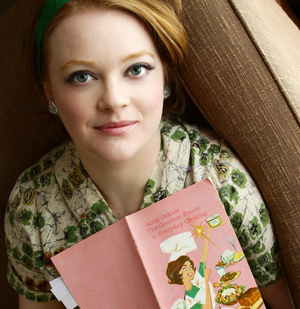 After which I bombarded her with about 30 crazy recipes I’ve been thinking about making. I’m pretty sure she wandered away from the computer in disgust halfway through me sending them. 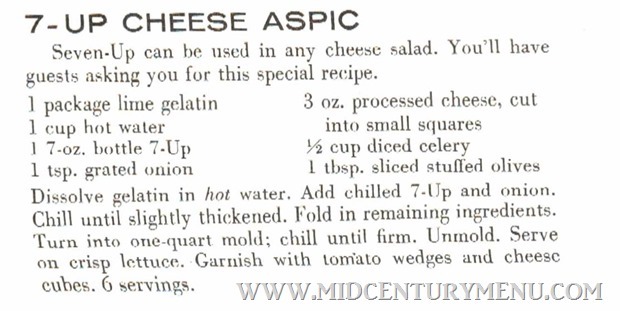 But after lots of laughing, exclamations of horror and some morbid interest back-and-forthing, it was decided to make 7-Up Cheese Aspic. 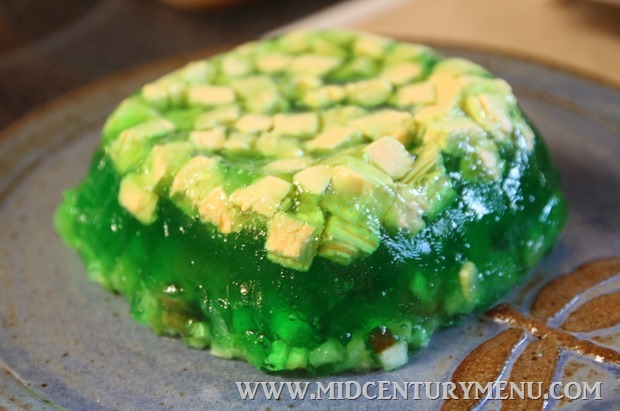 Because everyone loves lime-flavored gelatin with onion in it! Oh My God, Ruth! 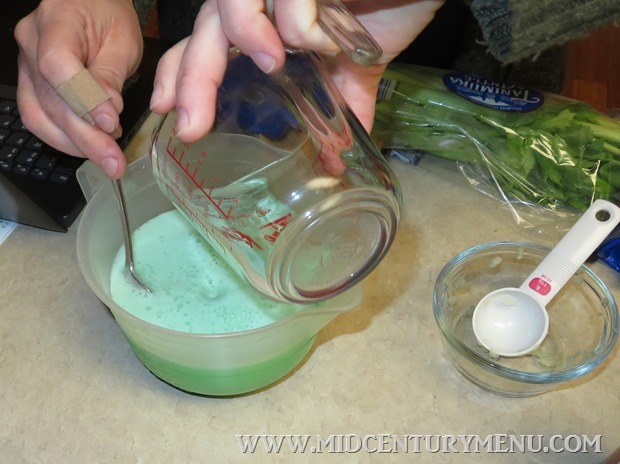 Why am I making you this gelatin? I just grated onion into lime Jell-O. This does not smell good. At least I get to drink some 7-UP. I can’t even lick my fingers right now. The smell. The horrible smell! I stacked the processed cheese slices to make cubes. And it made cubes. That so weird. Ok, ok. I just…I need to go wash my hands. And so it was done. The gelatin was made. The party was…saved? Tom: Okay. This isn’t too bad. Party Guest: Nope. I’m out. This tastes wrong. Party Guest 3: This…tastes like my past. I kind of like it. Party Guest 4: This is not right. Party Guest 5: I like it! This is really good! Party Guest 5’s Husband: This is really good. Carolyn: I’m not eating that. I can’t get the smell of it off my hands. It was sweet, fizzy and salty. It tasted like onion in lime gelatin with a fizzy aftertaste. I could be dramatic say it was wrong on so many levels, but the only level I was totally put off by was the freaking onion. 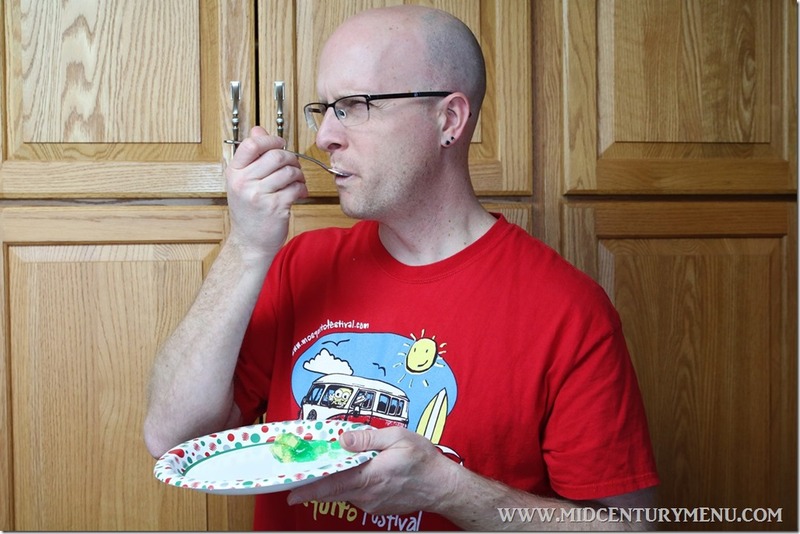 Raw onion in gelatin is just “no” for me. I’ve never been able to get over it. Tom suggested that the olives were essential to make it edible. Most party guests were just scared of it. Other party guests loved it. It was completely eaten by the rest of the night (whatever hadn’t turned into a pile of melted lime-onion goo), so they must have been telling the truth. I couldn’t taste the “good” part, but I’m not a big fan of onion. Maybe if I loved onion as much as I love…let’s say, pickles, maybe it would have been better. So I guess if you make this one depends on how much you like onion. 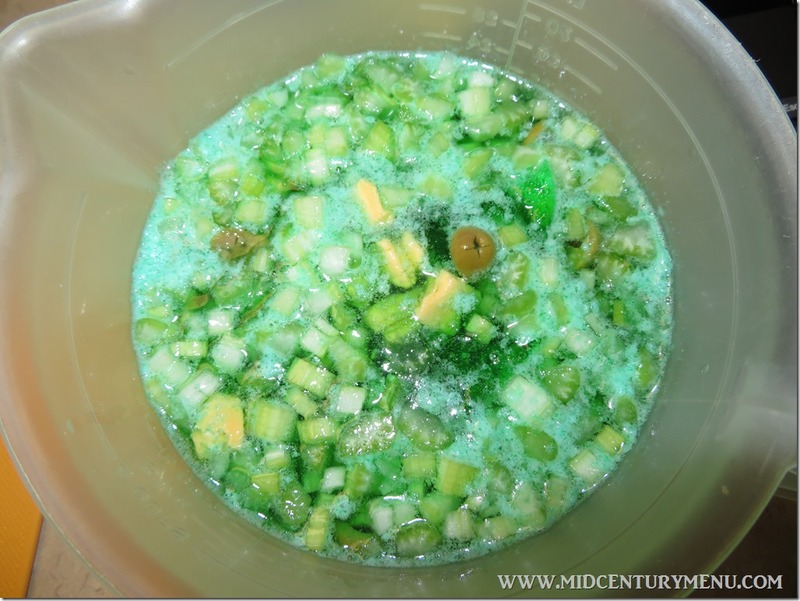 And how much you like the smell of onion and lime-gelatin sticking to your hands. I’m excited to be back! Hopefully I can keep this momentum going! Welcome back in all your gelatinous glory! So awesome to have you back! This recipe sounds interesting….. 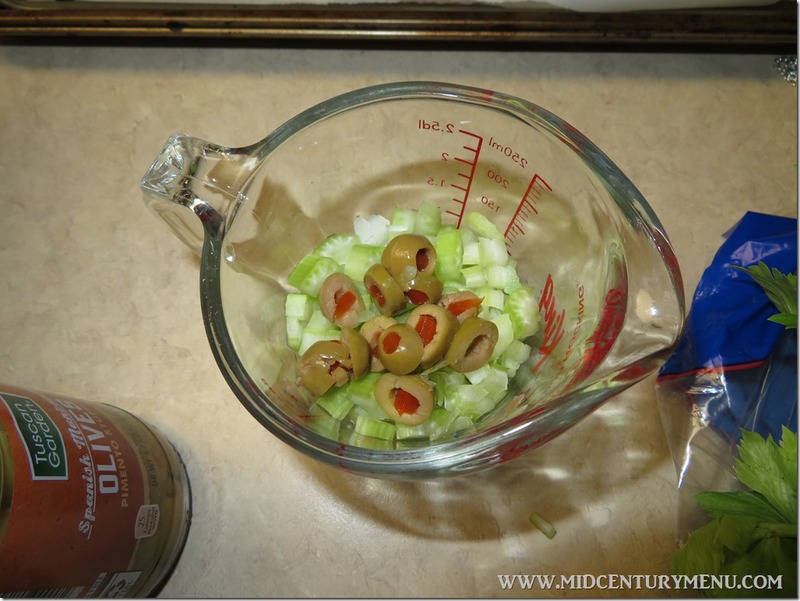 I love your articles that accompany your recipes! I hope you all enjoyed the holiday party! It kind of made my day to read this. I had no idea I could miss crazy Jell-O adventures so much! Welcome back! 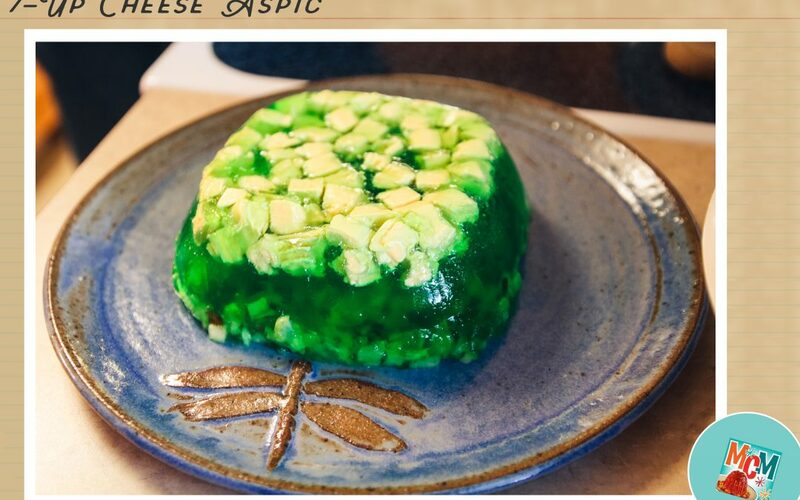 The Jell-O concoction looks revolting (never mind the onion, who puts processed cheese in Jell-O? ), but thenthe revolting posts are usually my favorites. Yeah! Glad to see you again!! So glad to see you survived the move! I’m thinking that there must be some way to redeem this, but it just seems like an odd combination. I’m glad you’re back! I completely agree with you about raw onion. Wow, what an abomination. Welcome back! So glad you’re back, you were missed! I’m with you, all in except for the onion. 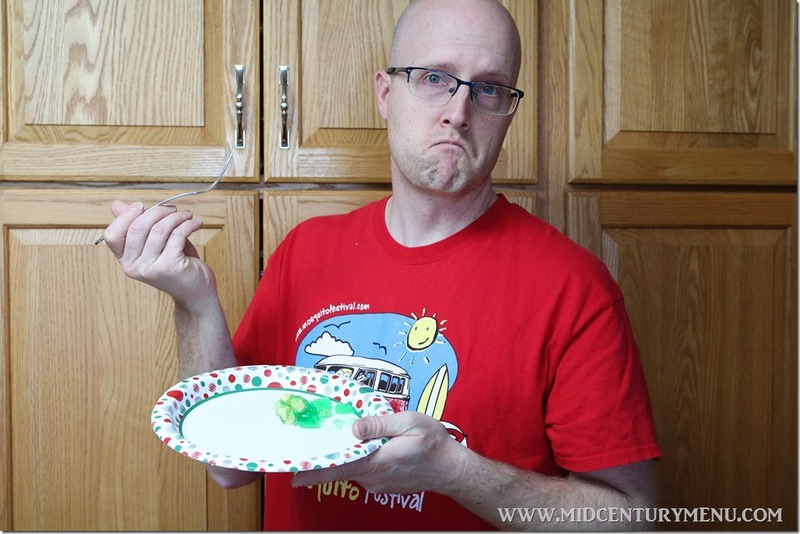 This is a dish fit for The Grinch! Had to wait until my stomach finished churning to type, but welcome back Ruth! Yay! I’ve been missing your posts! I, too, am glad to see you. (Moving is the most onerous thing on earth, for sure. )… I’m not sure about the recipe here. 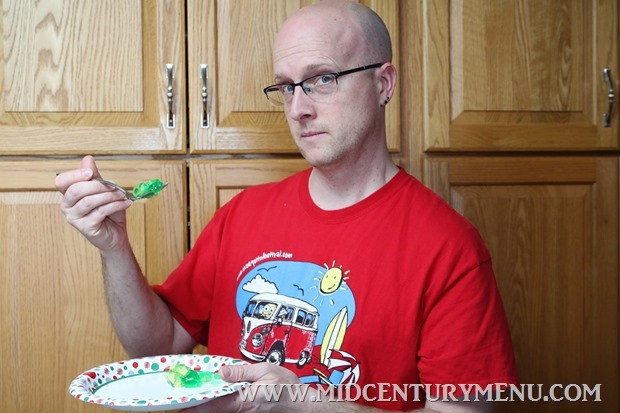 One of my favorite recipes EVER is lime jello, ginger ale, and cream cheese with a pinch of cinnamon. Pour plain lime jello over pears, let set, then the cream cheese jello mix, let set, unmold, and you have a fabulous ‘Under the Sea’ mold. But you probably know about that. … Look forward to future recipes, good luck unpacking, lol. Yay!! Terrifying jello recipes. Missed you! So delighted you are back! I’ve missed your culinary adventures more than I can say. Good luck with the shelves! (not at the same time). hooray! 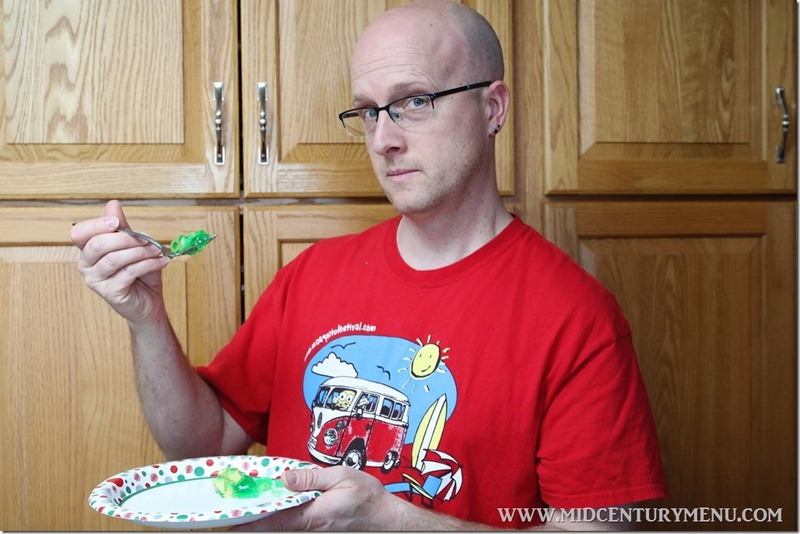 horrrible jello desserts. YAY! You were missed. I am so happy that you’re back!! I can’t wait to see what else you have to horrify/amaze us! I’ve been a longtime reader but never commented before. But I really want to say welcome back! I thought you were NEVER coming back! 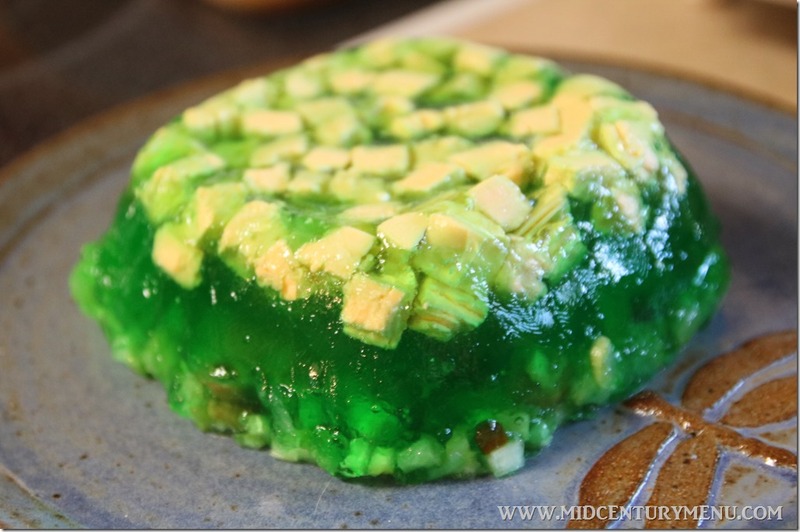 I’m glad to see some jello horror again. I can’t stop smiling. Plus, the onions must have wafted through my computer, because my eyes are a little teary. We’ve all missed you so much. You’re back. Just seeing a post was awesome, but it was also (as always) completely delightful, funny, charming, exciting, wonderful. P.S. – I want to make this, but without the onions. Will that work? I too am a long time reader but have never commented before. 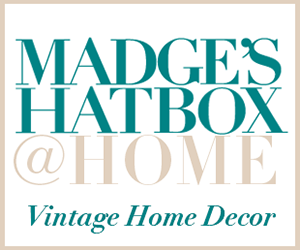 I’ve enjoyed your blog for quite a while and am really happy to have you back! 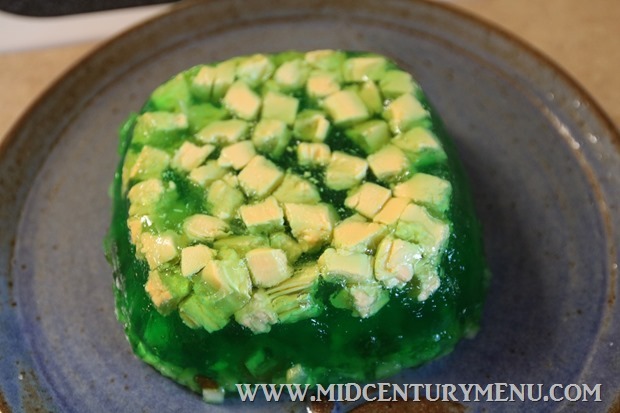 PS–I grew up in the midcentury era (I can sort of remember when JFK got elected) but we rarely had jello salads other than the lime jello, walnuts, celery and cottage cheese concoction that all Wisconsin/Minnesota moms made. I’ve seen a lot of jello salad recipes on different retro blogs and i don’t know who made them back in that day but it wasn’t us! Yay – you’re back! Best wishes settling into your new home! Welcome back! I love the fact that this was eaten up at the party. 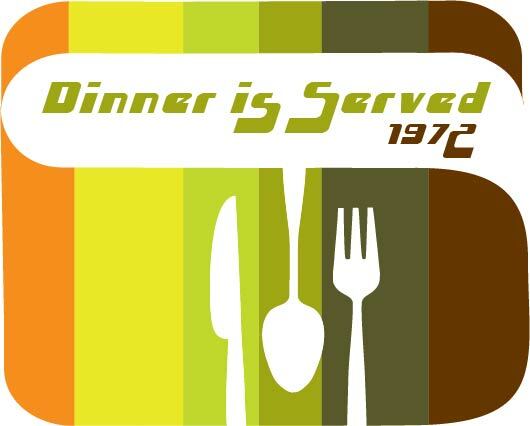 Maybe people really did like these crazy recipes back in the day? Wow! So happy to see you are back. Good to see you back. I think I will sauté the onion in butter first.